As President of JCB Urban, Jim is involved in every step of the home building process, from land development to landscaping. He has more than thirty years of home building experience that demonstrates his proven ability to respond to market trends by building attractive, high quality homes. Along with JCB Urban, Jim serves as Chairman of Saussy Burbank, a nationally recognized company known for building homes with innovative and distinctive architecture. 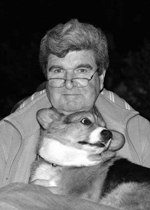 Jim founded Burbank & Associates in 1988 which has evolved into the well-respected Saussy Burbank Company of today. Jim also believes in supporting the community and has chaired the board for the Charlotte Housing Taskforce. He works closely with both the CHA and The Davidson Housing Coalition to bring affordable housing to the greater Charlotte area. Diane has more than 20 years of expertise in finance and accounting and brings a wide range of experience to her current role. At JCB Urban, Diane oversees all accounting, finance and administrative functions for the company. As well as her financial role, Diane is an integral part of the entire homebuyer process. 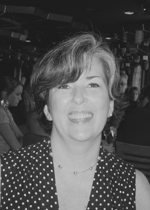 Diane is a CPA and graduated from Bowling Green State University with a degree in accounting. Before joining the JCB Urban team in 2004, Diane worked at several companies including Ernst & Whinney, BarclaysAmerican, Mecklenburg Medical Group and Bridgetree, Inc. in a variety of capacities including auditing, treasury operations, financial management and human resources. As Construction Manager, Bruce manages the daily activities on our construction sites with a heavy emphasis on customer satisfaction. Bruce is a licensed NASCLA General Contractor and brings 20 years of construction experience to JCB Urban. Bruce is a native of Mooresville, NC, where he lives with his wife, Amy, and two children. He is also an avid South Carolina Gamecocks football fan. After spending years in the field for JCB Urban as a Construction Superintendent, Dave transitioned into the Purchasing & Estimating Manager role. Bringing with him as eye for detail, Dave is an integral part of the behind the scenes work that translates into the quality of our finished product. David graduated from USC-Upstate with a Bachelor of Science degree in Engineering Technology Management. David came to JCB Urban in 2014 with nearly 15 years of experience in the construction industry. 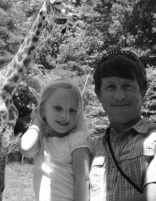 An avid outdoorsman, David enjoys mountain biking, fly fishing & skiing. As Construction Coordinator, Sarah does a variety of office and construction support. This includes accounts payable, overseeing warranty service & our safety program, supplemental documentation, and various other support roles . 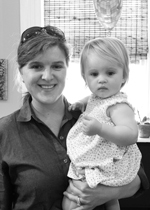 Sarah is a native Charlottean and graduated from Wofford College in Spartanburg, SC in 2004.